Dr. Ernest Calvin Gambrell was born to Ira Green and Erma Elizabeth Gambrell on September 15, 1935 at Baptist Central in Memphis, Tennessee. He was called to serve the Lord in full-time missionary work in 1968. That call came during a Mission Conference at his home church. Dr. H. Mel Rutter, the Founder and past President of Maranatha Baptist Mission was preaching and was greatly used by God in Brother Gambrell’s life. Dr. Gambrell, his wife Diane, and their two children, Teresa and Joe, left for Guadalajara, Mexico, in 1969, where they studied the Spanish language. After language school their third child, Jonathan, was born and they moved to Leon, Guanajuato. There they worked under a national pastor for one year. They then moved to Aguascalientes, Mexico, where they laid the foundation for the First Independent Baptist Church of Aguascalientes. 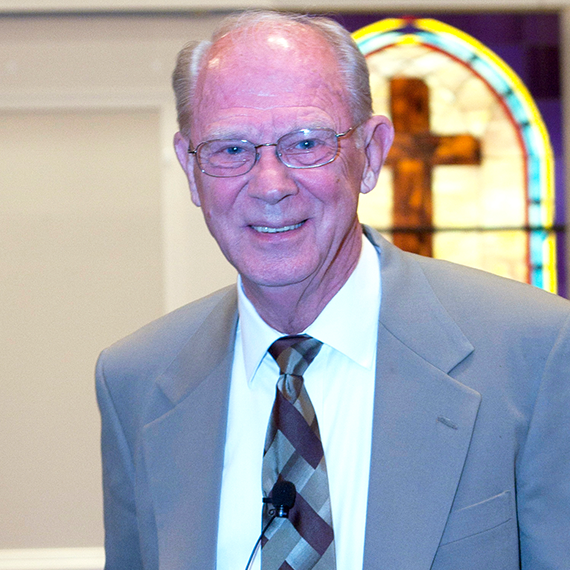 In 1975, Dr Gambrell served as Vice-President, Candidate School Coordinator, and Editor of the “Maranatha” paper. Dr. Gambrell was affiliated with Maranatha Baptist Mission in Natchez, Mississippi for 17 years. In 1985, under God’s leadership, he founded Fundamental Baptist World-Wide Mission in Memphis, Tennessee. The mission board’s motto is, “A Slave and Servant to the Local Church”. He continues to serve as President and General Director in the ministry today. Dr. Ernest Gambrell is most grateful in life for “the opportunity and privilege to serve the Lord in World Missions”. Dr. Ernest Gambrell resides in Memphis, Tennessee with his wife, Barbara. Some of his favorite hobbies are gardening, woodworking and writing. His sons, Joe and Jon, who also live in Memphis, Tennessee and are actively serving the LORD with their families in their local churches. His daughter, Teresa and her husband are missionaries to the Latin American people of Memphis, TN planting a Spanish speaking church. He also has been blessed with eight grandchildren.